White Brite Really Does Get Whites White! Whites can become a bit dingy over time, it's simply part of life. Sometimes a particular stain creates an impossible problem for white laundry items. Not for me anymore--White Bright is a new-to-me laundry product that works well in my HE machine. My white towels were in need of some brightening. I had one that was especially dingy. How towels get used for jobs they were not made to do is a mystery with many facets, the biggest of which is to figure out a solution to the aftermath. 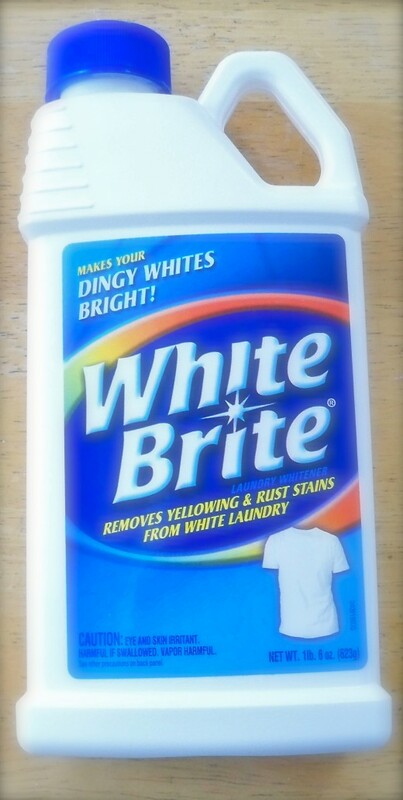 While checking out laundry products designed to do the job I discovered White Brite. There was just one problem. I was suspicious of it because my friend who stays on top of all the newest products had never mentioned this to me before. Something wasn’t right. Could it be possible that I found it before she did? I took a gamble and gave it a whirl. Wow! was all I could say when I opened my washer after using it the first time. The product worked very well and the results have been long-lasting. Since that went well, I ventured to try it on some white shirts and blouses. 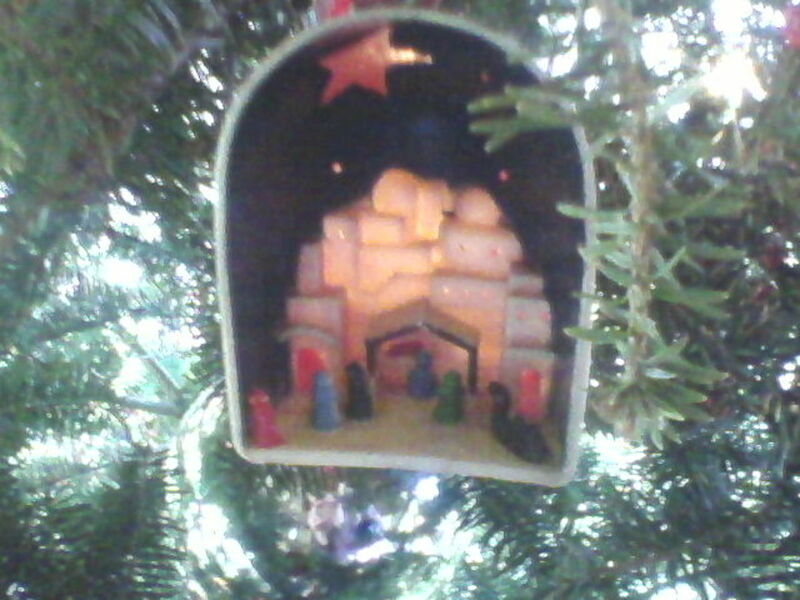 Some were older and therefore dingier than others, but I pitched them all in together and followed the White Brite manufacturer's instructions again. It really was amazing to have every shirt and blouse come out nice and white. Now I knew I could safely mention it to my friend. She was surprised that I found a product before she did, but she was the one who found the super-duper online coupons, so we're calling it even. She is an expert at everything household, so I was pleased (and relieved) to hear that she loves White Brite as much as I do. She did warn me though, that although the bottle says it might work on colored fabrics, she will definitely not be using it on anything but whites in the future. 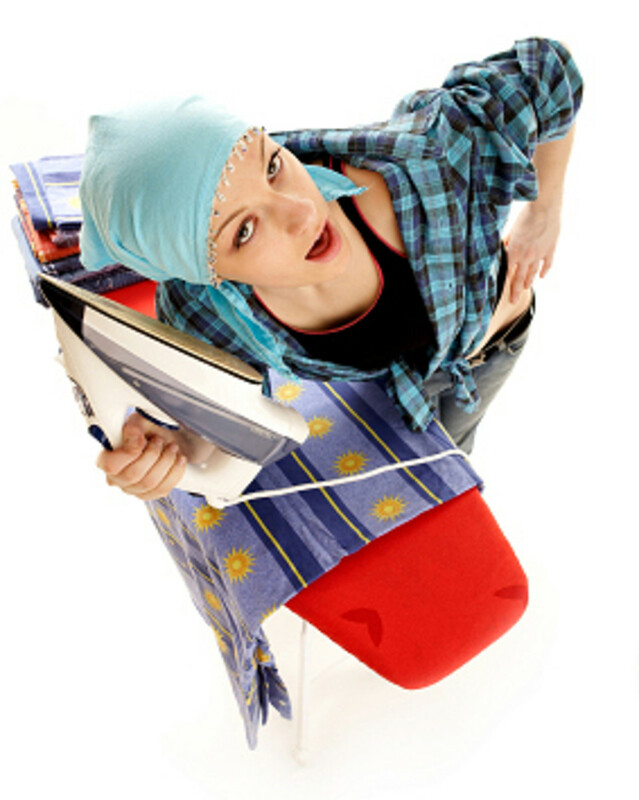 Do You Take Care Of The Laundry At Your Home? It was nice to solve the problem of how to brighten whites that had dulled over time, but I had not thought about using it on specific stains. 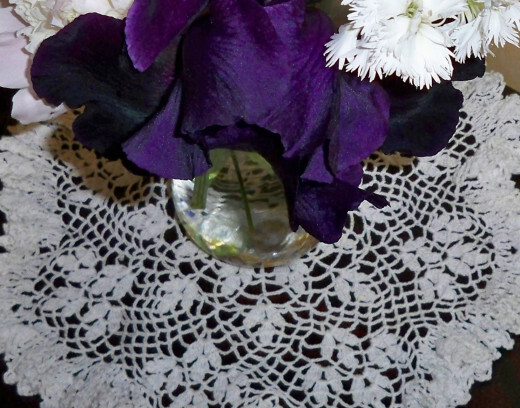 That is, until a problem developed when I used my black iris in a flower arrangement that I placed on an heirloom doily. I had no idea that this iris would weep black tears! 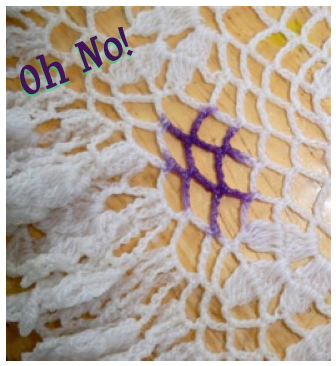 First I was shocked, then I was dismayed at the sight of the dark, dark stain on my aunt’s doily. 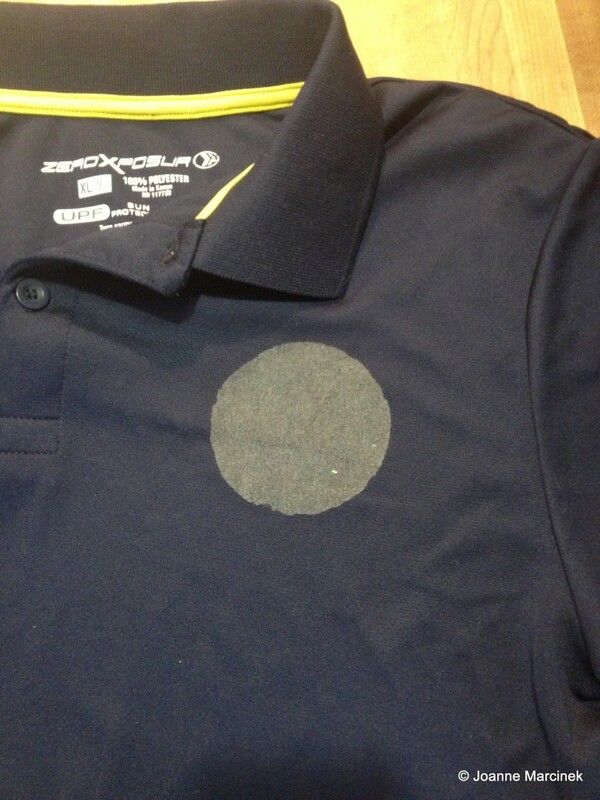 I did not know whether it was a permanent stain. When I first saw it I ran cold water over it and soaked it. Then I repeated the process several times. The stain was reduced, but far from gone. After letting it soak for another day, I remembered the White Brite. After rinsing and gently squeezing the doily out, I put it in a lingerie bag and washed it with my white towels using my new product. What a relief it was to take that bag out of the washer and remove a whiter than ever doily! To be able to hand it down to my daughter with pride means a lot, and I’ve already whitened several other vintage doilies in the same way. Now, it's a staple in my laundry room and I’m looking for white things to use this product on! White Brite is available online and in stores. Stains Get In The Way! 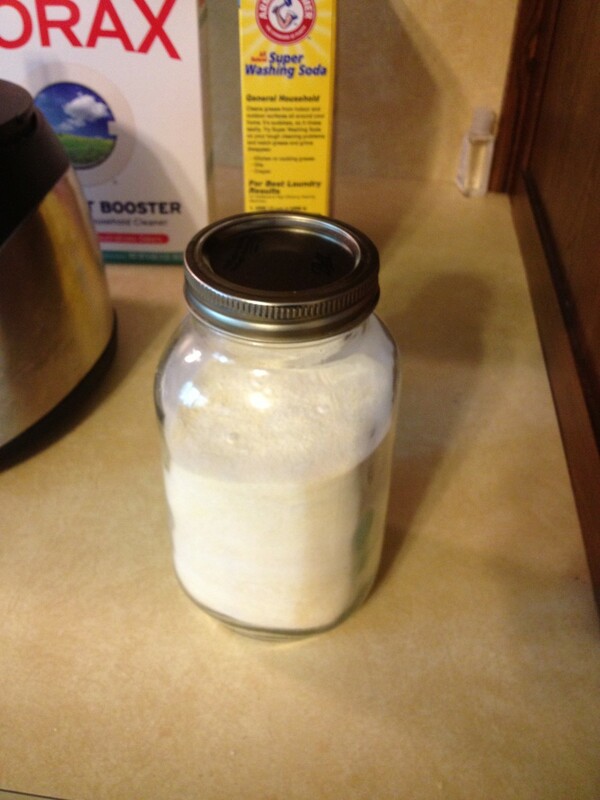 • Can You Really Make Homemade Laundry Detergent? • Can You Really Make Homemade Fabric Softener? Are You Familiar with White Brite? Isn't the web a wonderful tool for spreading useful information?! :) Thanks much for checking the product out via this hub! I have never heard of this product before! Now I must try it. I like whites to be truly white. Glad you have written about this or would probably never have heard of it! This product actually works better than bleach somehow. It has brightened items that I've used bleaches on! Thanks much for stopping in and letting me here from you on this product! I have never heard of this product but will look for it and give it a try. I generally use bleach for my whites. I realize that delicate items like your doilies would probably not stand up to bleaching. Nice to know about this. Obviously it is an old tried and true product from what you say. Up and useful votes. It is a handy product for white laundry. Glad to know it meets your need! Great info! I need this! It works so well that I do hope you can use it, but remember that White Brite is a powder. I was careful not to breath the powder when I poured it out, even though I don't have a huge problem with allergies. With your allergies you might want to be extra careful about it. Thanks much for coming by and for your input! I'm going to have to try this stuff to see if it will work without causing me an allergic reaction. That is my biggest problem with laundry detergents, fabric softners, stain removers, etc. Voting you up, useful, and interesting! Thank you for checking this product out here. Be sure to get a coupon before you go shopping. Appreciate your leaving a note, too! Hi RTalloni, Thanks for all this great information, i have not heard of White Brite but will be looking for it when i go shopping . After I discovered what I had done, I then had trouble getting the new reply posted--sometimes I wonder if I know what I'm doing… :) Thanks much for understanding!! I saw it. I was wondering, in fact I thought maybe I was going crazy. Which would not be a surprise? Did I read something I didn’t know I read? Funny, I know how things like that happen don't worry about it. I hope you will get lots of good use out of this product. Thank you kindly for visiting and for leaving me a note! So glad to know this is something you are interested in trying out. Thanks much for your visit to this White Brite hub and your kind comments! I have forgotten about this laundry option. My mother used to use it and her whites were always so bright. I may have to buy it next time I need detergent. Never heard of it but will sure try it. Voted Up on your hub. Glad to hear you found White Brite to be an interesting product. Thanks much for letting me hear from you when you stopped in! White Brite certainly made the whitest whites for me! Hope you find it as helpful as I have. Thank you for stopping by with your comments! WOW whitest white, never tried this but will try.Useful information,thanks for sharing. The way White Brite worked really did astonish me. The results were lasting, too. It's not a product you have to use on the same items often. Thanks much for checking this hub out and letting me hear from you! This sounds great and certainly worth a try! I have never used this product but will definitely try it out. It looks like it will brighten all whites and take out stains better than bleach. Very useful hub.